is a genus of thermophilic ants that occur in warm, open habitats throughout the Americas. These small, active insects nest in soil and are often the only ants out during the hottest parts of the day. 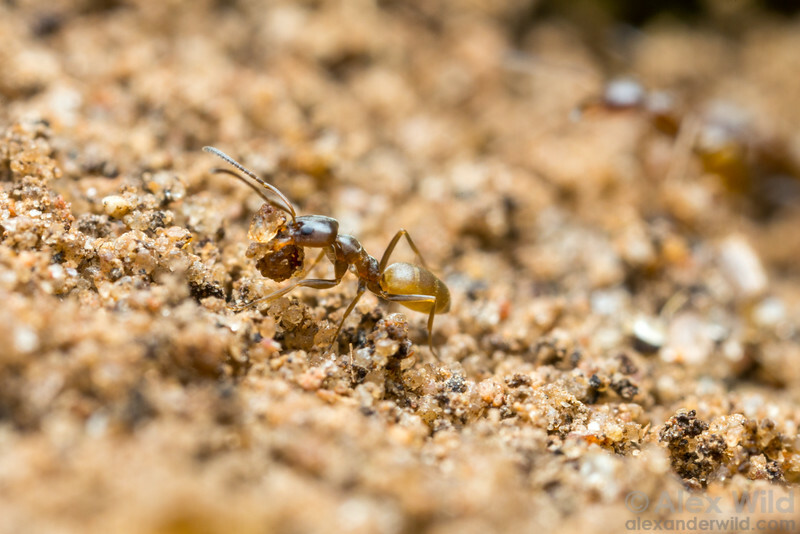 A high-noon ant carries soil out of her nest. Bastrop State Park, Texas, USA.